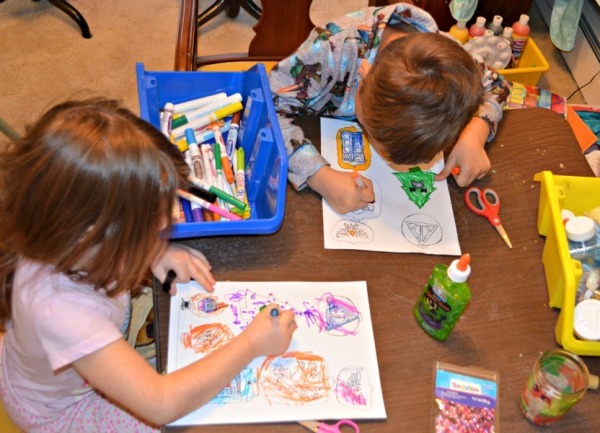 This post was originally posted on Homeschool Mosaics, which has since been taken down. My fellow family members and I are huge geeks. Unfortunately, we do not have a lot of Christmas decorations that encompass our family’s passion for science fiction, fantasy, and video games. 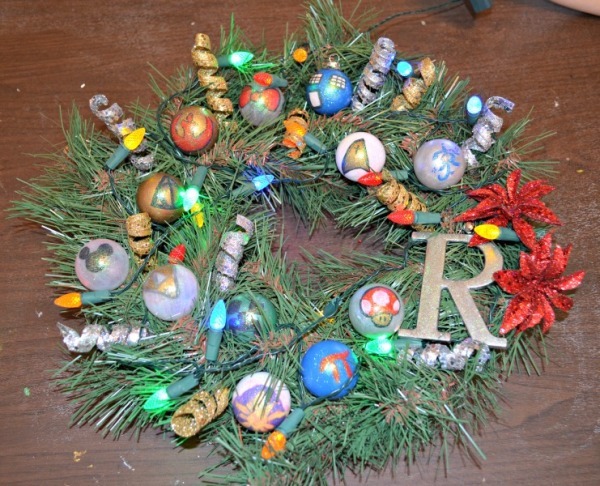 I decided to try to make something personal for the family: a Christmas Geek Wreath! It cost me only $24 to pick up the supplies that I needed for this craft. glitter decorations, monogram letter, flowers, etc. Make sure you have everything you need before you get started. Assemble all the items you need. This is important. I have started many a craft without assembling all the things I needed and then had to stop to go shopping. Once creative juices start flowing, let them flow. Don’t hold it back anymore (thank you, Frozen, for the backup!) But seriously, it is so much easier to have everything ready and spread out to make your crafting easier on you. Decide what you will be painting on the ornaments. This may require a little research and drawing on scrap paper. Some of the designs my family decided on for our wreath. Paint the base color on the ornaments. 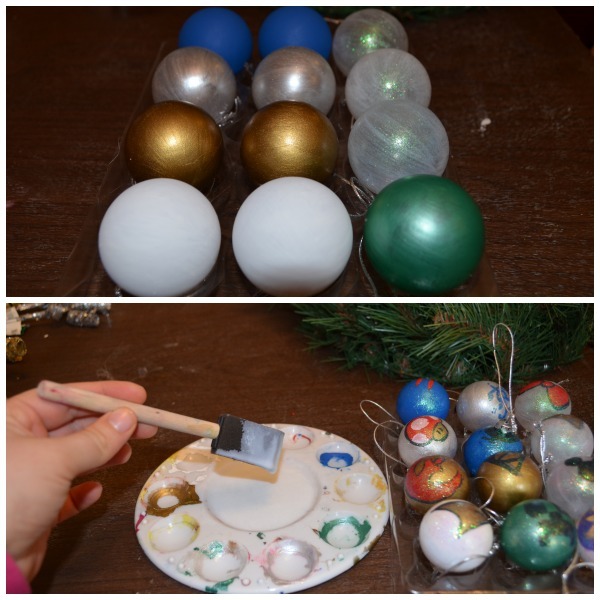 Hang the ornaments to dry completely between coats so that you get a smooth finish. Paint your design on them, add a layer or two of glitter paint, and finish with a mixture of glue and water (or Modge Podge) to protect the ornaments from scratches, weather, and damage. This is the most time consuming part of the project. Take your time and allow all coats to dry completely before moving on to the next coat. Your patience will be rewarded with a smooth surface. If you rush your art it will be gloopy and not pretty looking. Hot glue time! 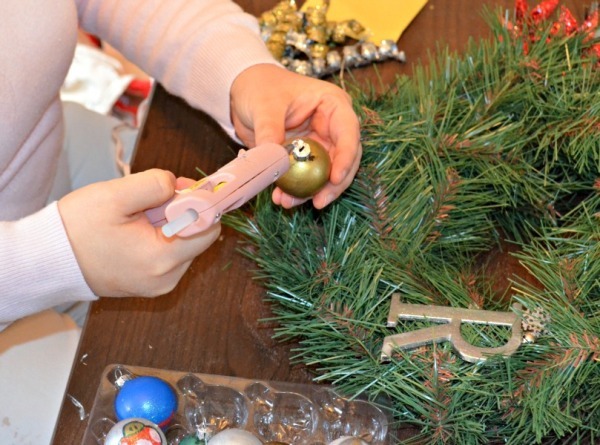 This is my favorite part – when you get to glue all the pieces on to the wreath. 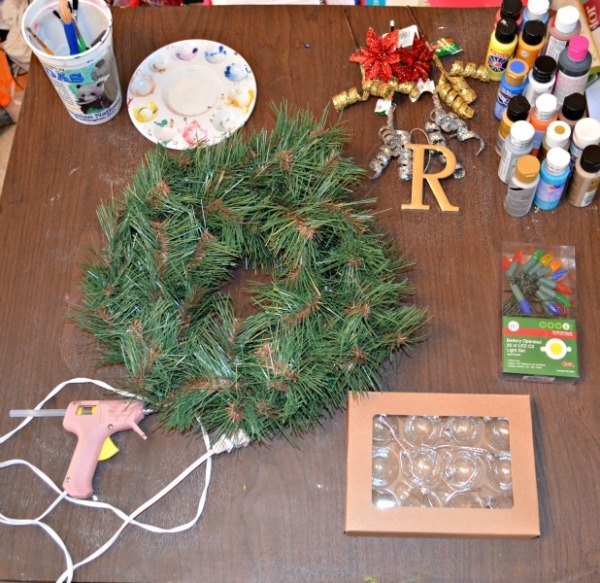 Use your imagination to decorate your wreath with lights, flowers, glittery sticks, snowflakes, etc. Have fun with it! Step Five: Ooo and Aww. Make sure you have batteries in the light pack, hang your wreath to display, and look back at all your hard work. Good job capturing your family’s personality in your one-of-a-kind wreath! My kids love to make ornaments, but I don’t want them to be painting glass ornaments. I fear crushing and trips to the ER. 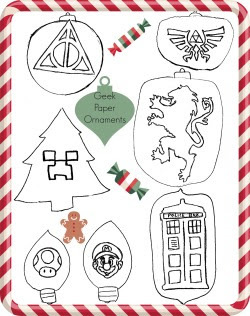 Instead, I hand drew some geek paper ornaments for them to color, glitter, and hang up on the tree or in their room. 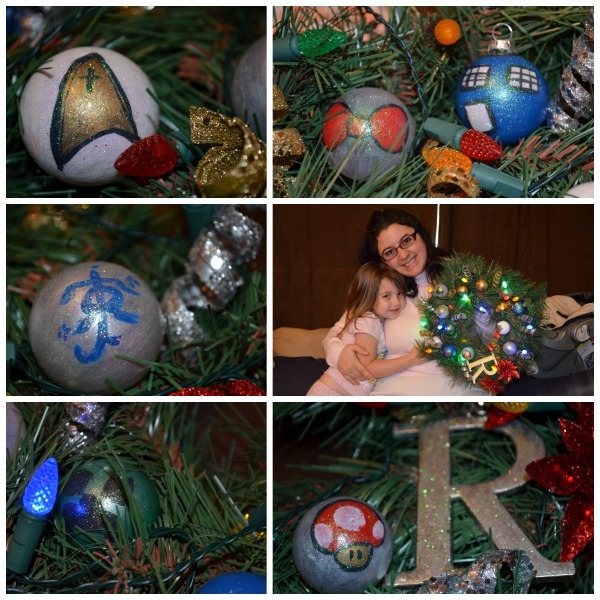 Younger kids can get in on the fun by decorating some geek paper ornaments! Feel free to get in the spirit of Geek Christmas this year! Download, decorate, and share pictures on my Facebook page! I would love to see what you and your family do.